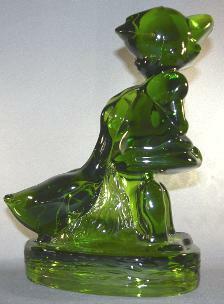 Goose Girl – L.E.Smith Glass Co. – Circa 1970s. Green glass. 8” high x 3-1/2” wide x 5” deep. Weighs 3 lbs. 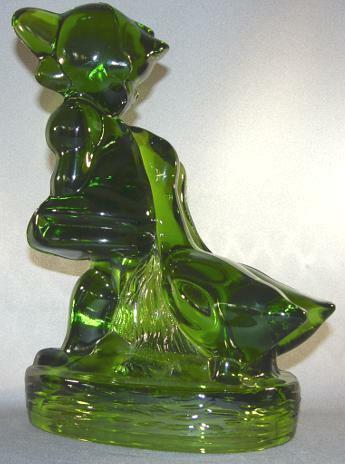 Originally issued in the 1950s in crystal. Other colors were later introduced (pictured in Spencers’ Glass Animals reference book). Excellent condition.